A suicide bomber and a gunman killed at least 29 people and wounded 63 at a packed Shia mosque in Afghanistan's main western city of Herat Tuesday, the latest attack to highlight the country's deteriorating security situation. 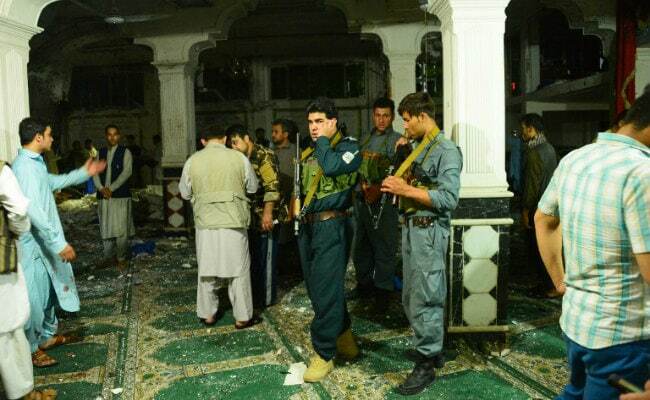 The assault on the Jawadya mosque in Herat, which is close to Afghanistan's border with Iran, came a day after the ISIS claimed a deadly attack on the Iraqi embassy in Kabul. The Herat attack was the latest in a series of assaults on Afghanistan's minority Shia population. "The death toll has risen to 29 killed and 63 wounded. Some wounded are in a critical condition so the toll may go up," hospital spokesman Rafeeq Shirzai told AFP. 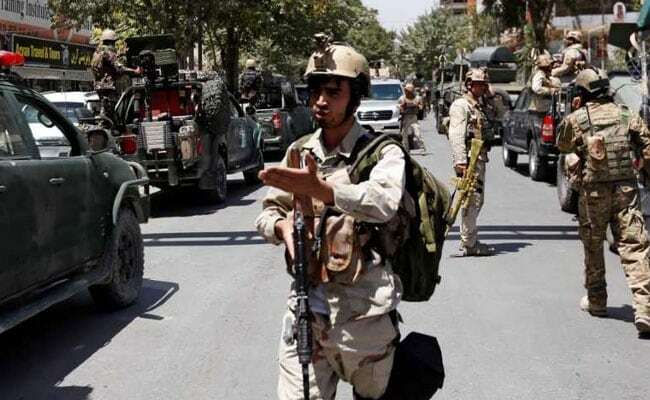 Herat police spokesman Abdul Ahad Walizada said the assault happened around 8:00 pm (1530 GMT) when "a terrorist attack was carried out on a (Shia) mosque in the third security district of Herat city". "Based on our initial information two terrorists were involved, one of them wearing a suicide vest who detonated himself while the second one was armed with a rifle. They are both dead," he added. A reporter for AFP said he had seen a number of bodies brought out of the mosque, leading to fears of a heavy death toll. He reported seeing a body torn to pieces at the entrance, possibly that of the attacker, while others were lying in pools of blood inside, some still crying and moving. Photos posted on social media showed large crowds had gathered at the hospital. There was no immediate claim of responsibility but ISIS has been targeting Shia minority crowds and mosques in Afghanistan for around a year. The Taliban specifically denied that it was involved. The attack comes a day after an assault on the Iraqi embassy in Kabul, which was claimed by the ISIS, killed two people. ISIS has been expanding its footprint in eastern Afghanistan and has recently claimed responsibility for several devastating attacks in the capital. But experts have previously questioned whether there are direct links between the group's local affiliate Islamic State Khorasan Province (IS-K) and the central ISIS command. On Monday a suicide bomber blew himself up outside the embassy, allowing at least three other militants to breach the compound, unleashing an hours-long gun battle that killed two people. A security source, who declined to be named, said ISIS could prove to be more dangerous than the Taliban in Afghanistan. Unlike the Taliban which has friends and foes among the international community, ISIS considers everyone their enemy and will keep attacking soft targets, he said. Shiites, of which there are around three million in Afghanistan, have regularly been targeted in recent years. In June, ISIS claimed responsibility for a suicide attack on a crowded Shia mosque in Kabul which killed four people. November last year saw a massive suicide blast kill at least 27 people and wound 64 at a Shia mosque, again in the Afghan capital. In July 2016 ISIS terrorists claimed responsibility for twin explosions that ripped through crowds of Shiite Hazaras in Kabul, killing at least 85 people and wounding more than 400. Afghanistan's national unity government said it strongly condemned the Herat attack, describing it in a statement as an "anti-Islam act". It also called "on the Muslim people of Afghanistan, as well as on the religious scholars, to stand united against the barbaric actions of the terrorists". President Ashraf Ghani added that "terrorists cannot create sectarian divisions among our people".